Ever had one of those times in your life, where things are at a low? You are feeling a little sorry for yourself... and then... BAM! REALITY CHECK! Well, I have and it happened this past week. Here is the back story in brief. Barrington, Illinois. St. Paul United Church of Christ Youth Group. We had such fun, Sunday mornings with our swanky carpet sample laden lounge and boxes of fresh donuts, retreats, softball games, camp outs, trips to Wisconsin, bi-centennial ice cream socials, live nativity ( I was the Virgin Mary) and lots of friendship and fellowship. When youth group/high school buddies J.P. and Dave turned 16, my girlfriend Tina and I thought to make a special gift. 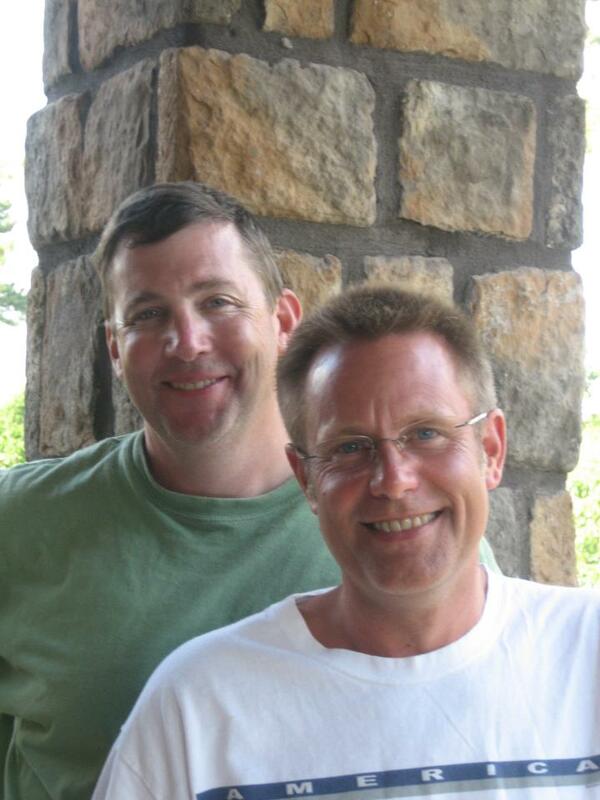 We painted a little ladder orange, adding to it the likenesses of the boys who were our best friends at the time. 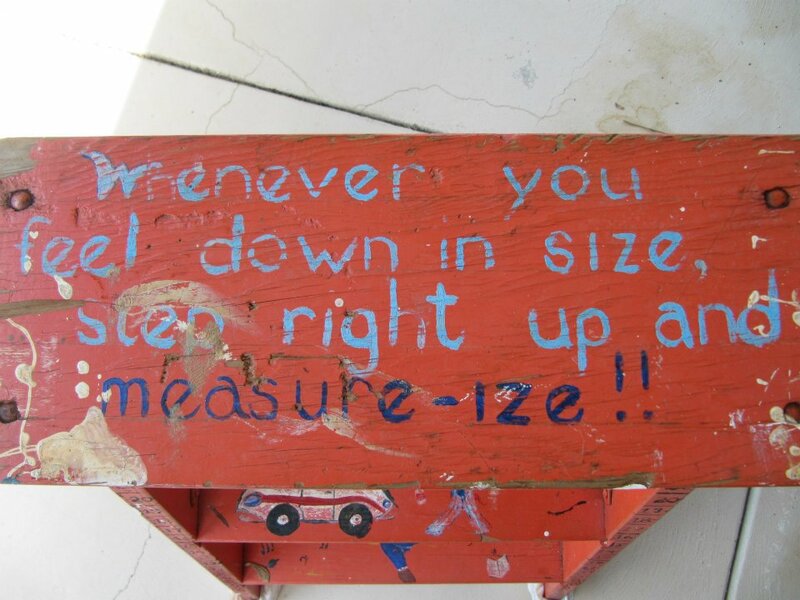 One of them, we used to joke, was a little shorter than the other and so we painted a little made-up saying on the top "Whenever you feel down in size...step right up and measure-ize". Looking back, the better "play on words" would have been "measure eyes"... but what did a couple of crazy teenagers know. We had such a fun social group, we were inseparable. After graduation from high school, making new friends in our new collegate worlds, keeping in touch via letters and phone calls to our land lines, if even keeping in touch at all, after friends moved, got married and found new lives...I would reflect on the wonderful times we shared, filled with laughter and memories of days past. We all lost touch! It is difficult when your friends have last names that are so common... Price, Bennett, Smith, Butler, King... It is one of the reasons you kept "Layton" in your email and contact information. Hoping those folks with the common last names...might someday find YOU. ...in the midst of a political rainstorm of feelings with another aspect of my life and while celebrating the successes of family who had been featured on HGTV...Saturday night, I had a friend request to my business facebook page from "Buck Wheat". Having long forgotten about that nickname, I just ignored it, until I arrived home to see who it was. I clicked on the photo and it was a facebook page made up completely for me! It was my long lost friends, reunited in a photo, and a complete collection of photos of the well used little orange ladder, It had withstood the test of time and had never made it into a dumpster, It had moved around the country with Jeff and was finally immortalized in a photo! .. still painted as I had remembered it! "Friendship Lasts..." was J.P.'s post...That couldn't be more true! I am so grateful they contacted me. I feel whole again. A piece of the puzzle that I call my life... had been found and placed where it should be. Having lost both parents, it is wonderful to reconnect with friends who have the same memories of days gone by! Thinking of them brings to mind the lyrics of a song called "Everybody's free to wear sunscreen". If you don't know it, you should! Google it or better yet, I will link to the lyrics here. Thank you JP and Dave for finding me again. I am happy to see your sense of humor never left you both! You two bring a smile to my face every time I see your photo!